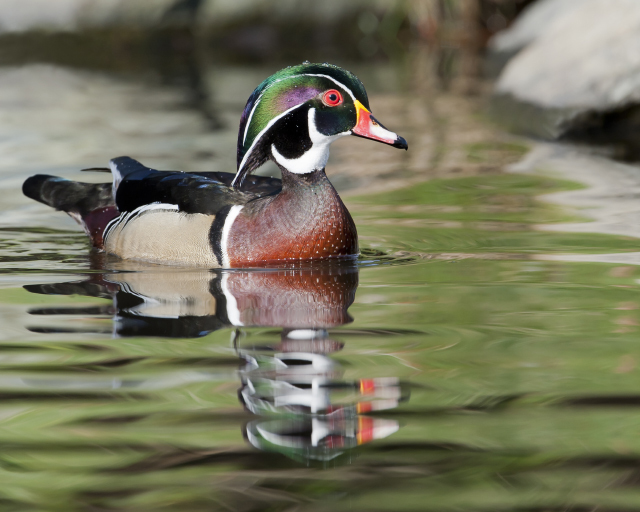 The winter landscape may not offer the widest spectrum of colors, so seeing a jewel-tone wood duck is always a welcome sight. 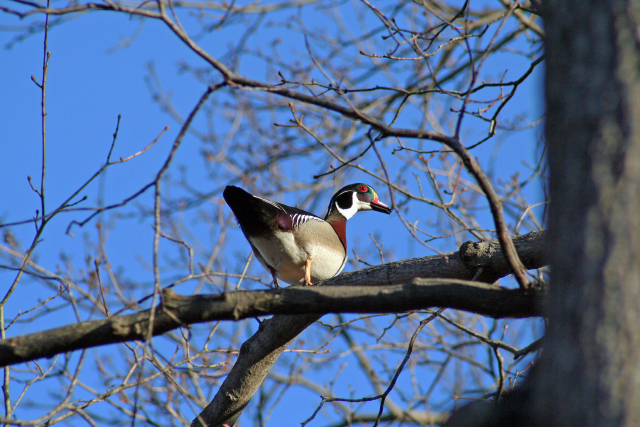 Some of these birds have hung around in Massachusetts all winter, and others are just now returning to the state from warmer places. 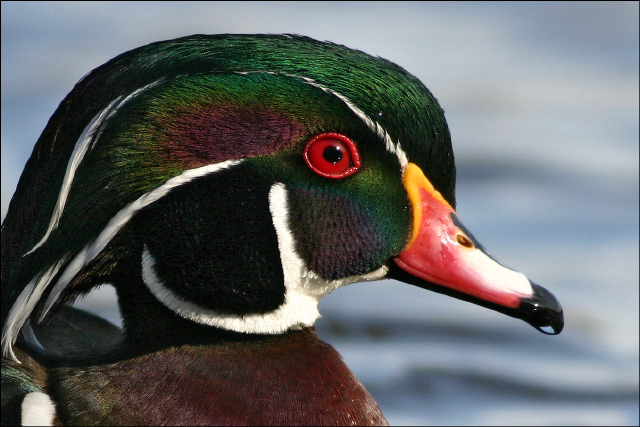 Unlike most of our waterfowl, the aptly named wood duck nests in tree cavities. 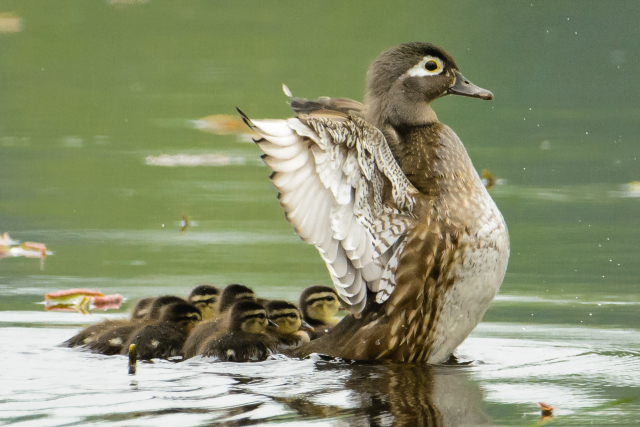 After the ducklings hatch, the hen coaxes them into leaping down to the ground, where they will follow her as they learn to forage and fend for themselves. 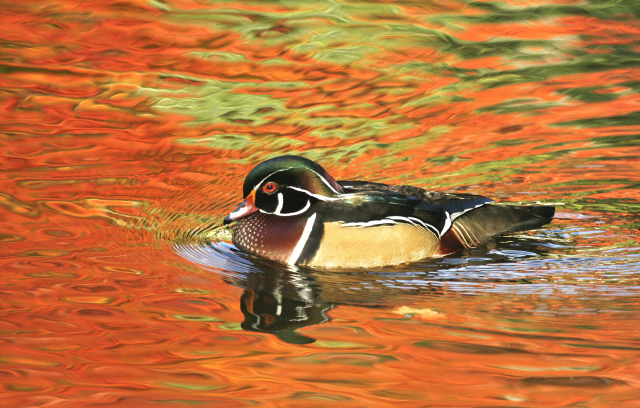 Feast your eyes on these five photos of wood ducks from past editions of our Photo Contest and learn more about their history in the state with our Breeding Bird Atlas 2. This entry was posted in Take 5 on March 7, 2016 by Rosemary.